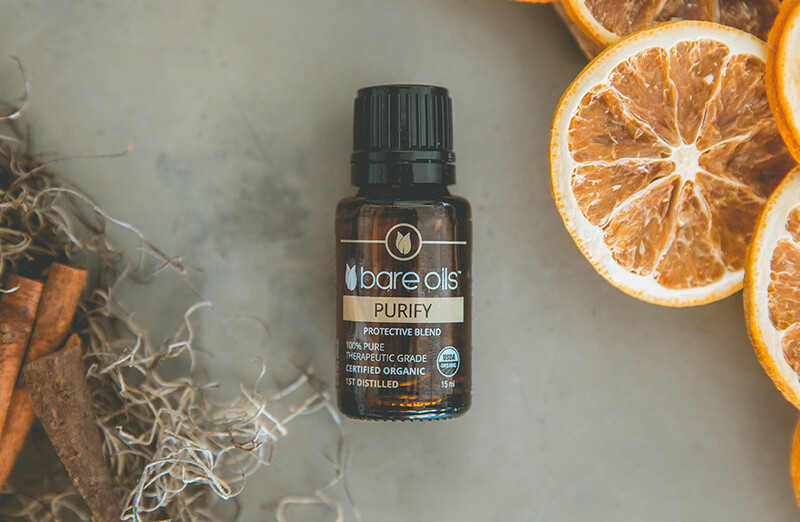 Purify the air and clean surface areas with this blend of refreshing and powerful essential oils. Aromatic and topical use only. For topical use, dilute with carrier oil. For sensitive skin and children, moderately dilute with Bare Oils Fractionated Coconut Oil before use on skin. Avoid direct sunlight and UV rays for at least 12 hours after topical application. Keep out of reach of children. Application to skin may increase sensitivity to sunlight. Dilute before using on skin. Avoid eyes and sensitive skin. If pregnant, nursing, taking prescription medication, or have any medical conditions, consult physician before use.